Steph Mosscrop is a student midwife in Maine. Steph is planning a volunteer trip to Senegal, West Africa. Steph tells us: "...this is a midwifery exchange program where students are taught, get to travel and is not a philanthropic trip. I am going there to learn from a group of midwives in an established clinic. While my tuition does help keep the clinic running and buy some medical supplies, it is a business model and is a source of income for the clinic. I will be paying the teaching midwives the same stipend that would be owed in any other setting..."
Staph is asking for your financial contribution. Steph will spend one month, February 15th through March 15th, volunteering at a Birth Clinic. 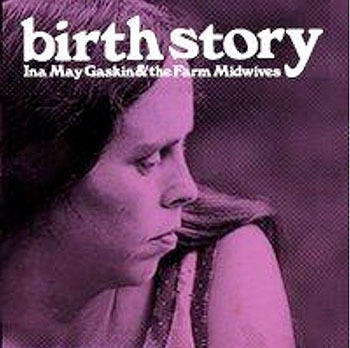 This film tells the story of counterculture heroine Ina May Gaskin and her spirited friends, who began delivering each other's babies in 1970, on a caravan of hippie school buses, headed to a patch of rural Tennessee land. With Ina May as their leader, the women taught themselves midwifery from the ground up, and, with their families, founded an entirely communal, agricultural society called The Farm. They grew their own food, built their own houses, published their own books, and, as word of their social experiment spread, created a model of care for women and babies that changed a generation's approach to childbirth. In the same spirit of women's self empowerment and self care the Shodhini Institute was created and has been working hard to spread their powerful message. The Shodhini Institute is a growing network of healers, bodyworkers, transmen, masculine of center womyn, doulas, midwives, nutritionists, yoginis, scholars and sheroes out to revolutionize the face of Western medicine regarding women's bodies, minds, and spirits. Stay after the film screening to meet some of Shodhini's trained and experienced doulas. We will be hosting an open Q&A about birth work and their role as doulas. Spread the word!